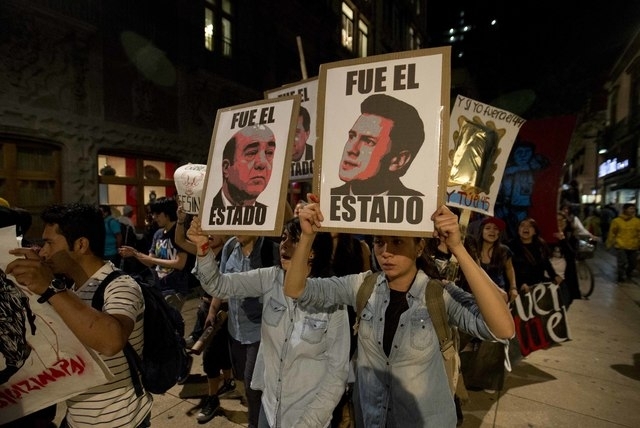 An off-the-cuff comment by the attorney general to cut off a news conference about the apparent killing of 43 missing college students has been taken up by protesters as a rallying cry against Mexico’s corruption and drug trade-fueled violence. 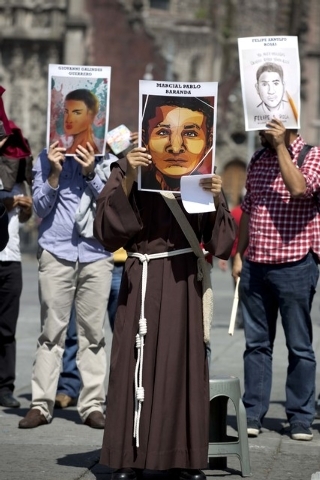 Family members of some of the missing student teachers in Mexico denied official claims that their loved ones had been burned and dumped in a garbage bin. 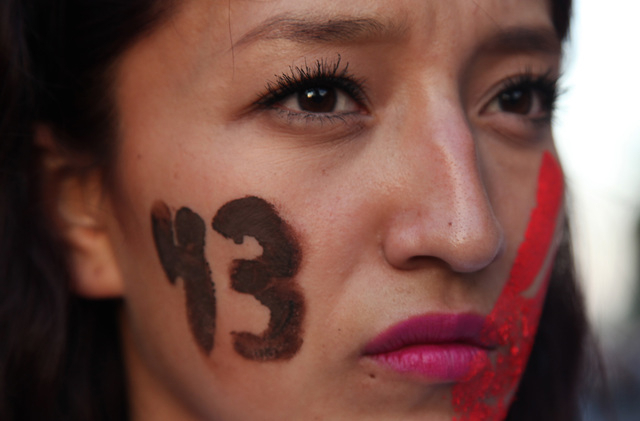 MEXICO CITY — An off-the-cuff comment by the attorney general to cut off a news conference about the apparent killing of 43 missing college students has been taken up by protesters as a rallying cry against Mexico’s corruption and drug trade-fueled violence. During the session that was televised live Friday, Attorney General Jesus Murillo Karam announced that two suspects had led authorities to trash bags believed to contain the incinerated remains of the slain students, who haven’t been seen since being led away by police in the southwestern town of Iguala on Sept. 26. Within hours, the phrase became a hashtag linking messages on Twitter and other social networks. It continued to trend globally Saturday and began to emerge in graffiti, in political cartoons and in video messages posted to YouTube. 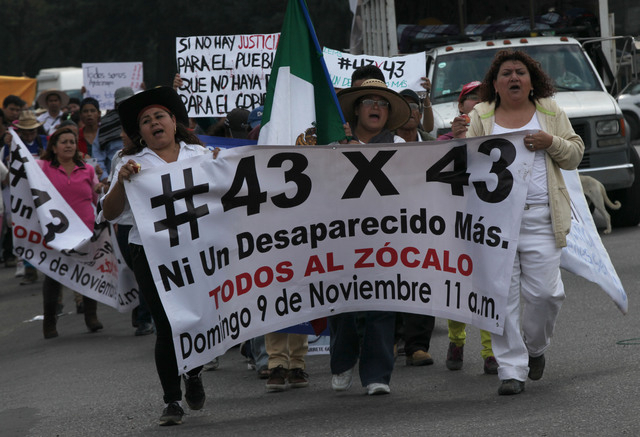 Mexicans have reacted with outrage to the disappearance of the students from a rural teachers college in Guerrero state and a government response that has failed to fully explain what happened. 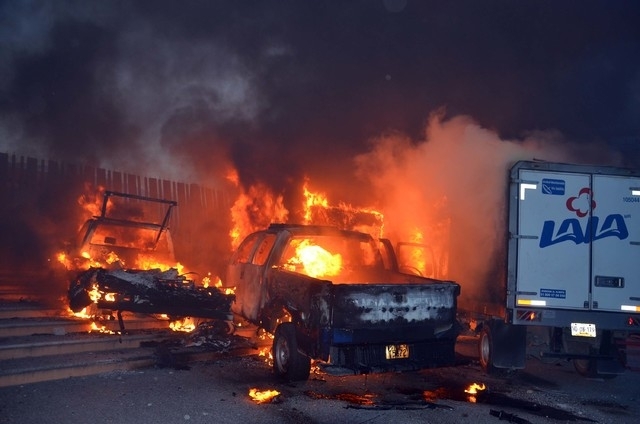 On Saturday, protesters burned several cars and trucks outside the governor’s offices in Chilpancingo, the Guerrero capital where demonstrations over the students’ disappearance have escalated into violence several times. 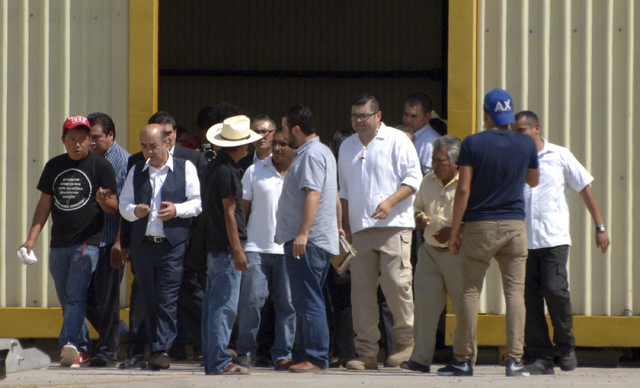 Investigators say Iguala Mayor Jose Luis Abarca and his wife, Maria de los Angeles Pineda Villa, ordered police to confront the students, who had gone to Iguala to raise money and had commandeered passenger buses for their use. The couple reportedly feared the students would disrupt an event being led by the wife. 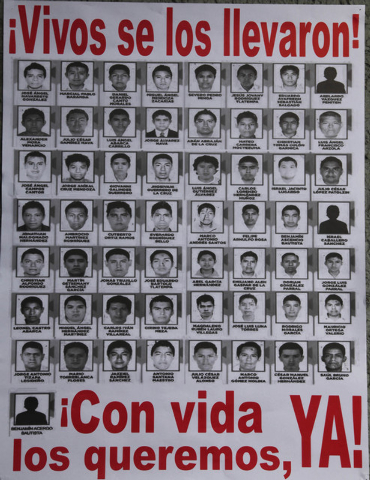 Iguala police fired on the students in two incidents, killing six people. Officers then allegedly turned over 43 arrested students to a local drug gang. 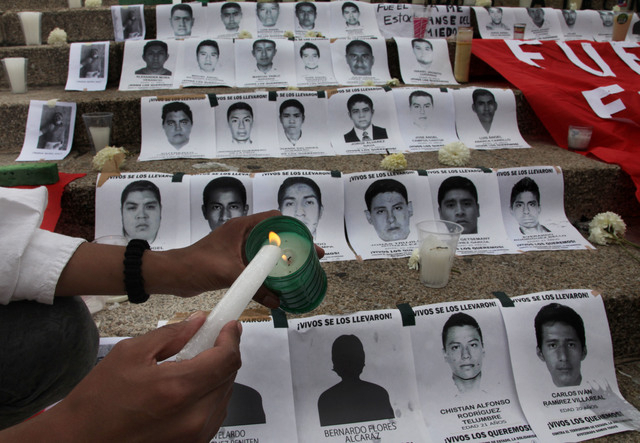 Murillo Karam said members of the gang confessed to killing the students before burning their bodies and tossing the ashes and bone fragments into a river. At least 74 people have been arrested, including Abarca and his wife, who were found Tuesday hiding in a dilapidated home in a rough section of Mexico City. 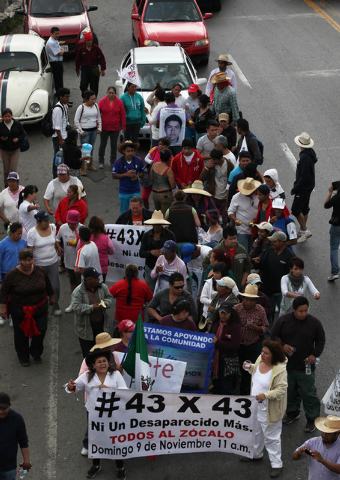 Families of the missing students insisted they will continue to believe their sons are alive until authorities prove the recovered remains are theirs. Murillo Karam said the bone fragments would be sent to a lab in Austria for testing. 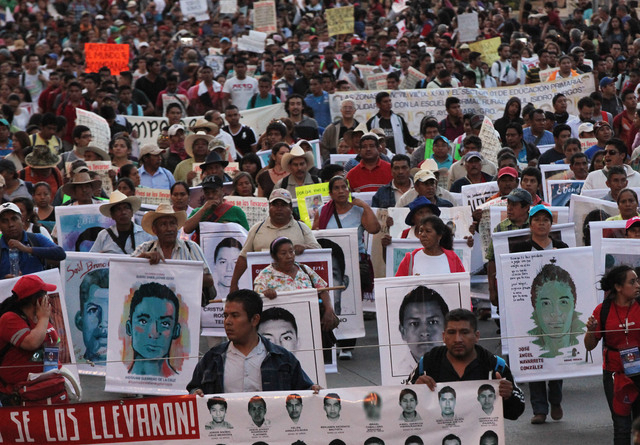 Manuel Martinez, a spokesman for the families, said the “YaMeCanse” rallying cry was proof that their demand for answers is gaining strength. 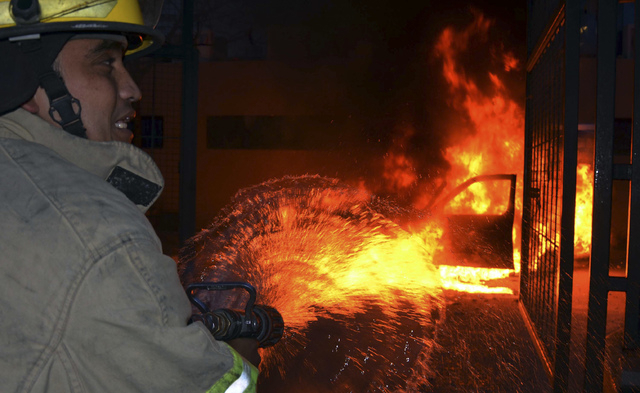 “The people are angered and I hope that they continue support us,” he said Saturday. Filmmaker Natalia Beristain was among hundreds of people posting YouTube videos tagged #YaMeCanse.